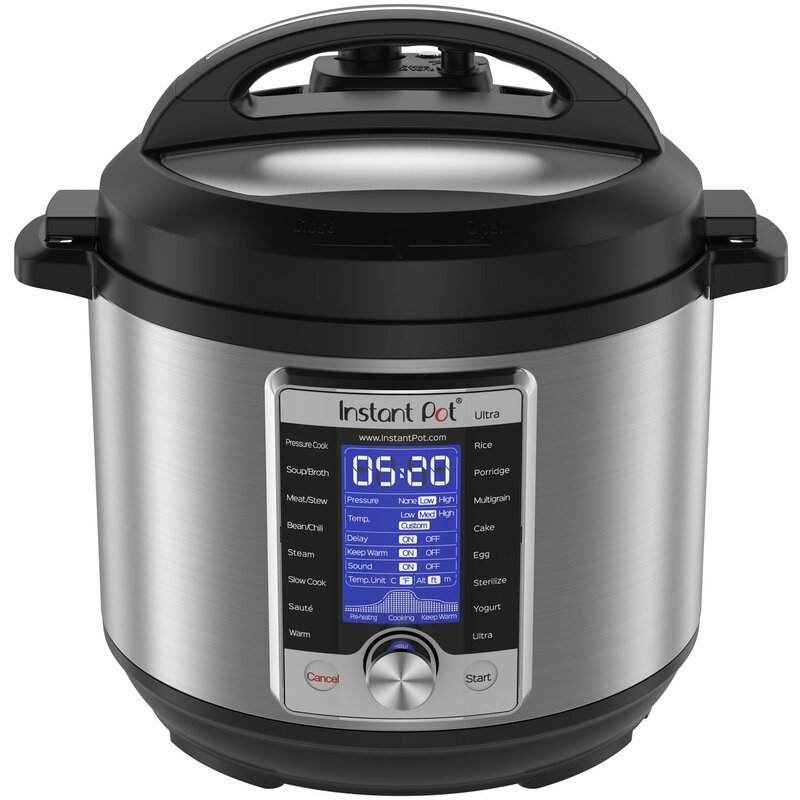 Time for a good Instant Pot Comparison! 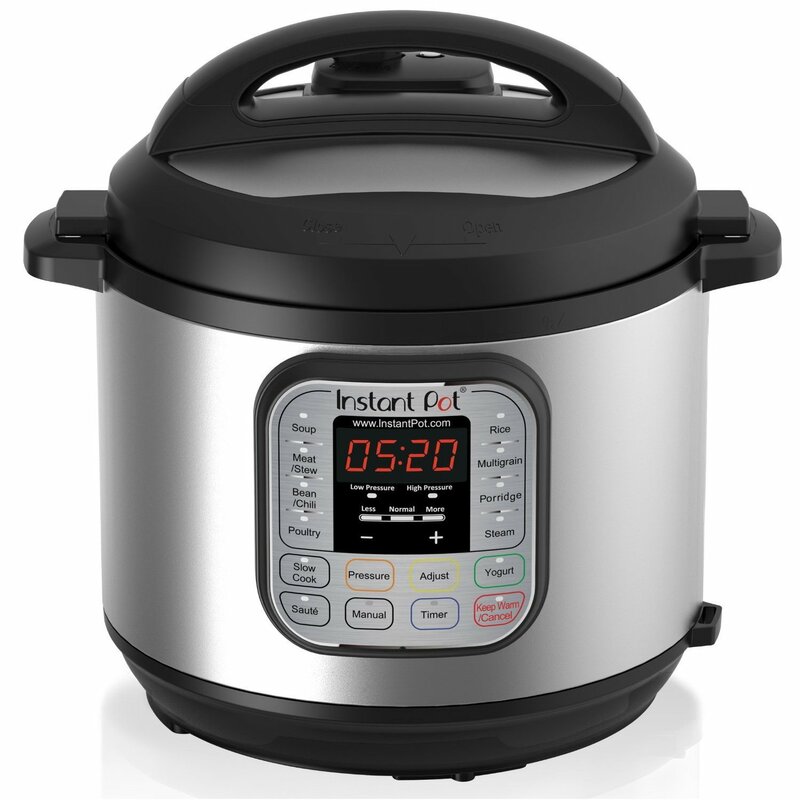 So you’ve decided you want to buy an Instant Pot and then realize that there are a lot of Instant pot models to choose from. But wich one is the best to suit your needs and your kitchen? Today there are 8 different models to choose from, across 3 different product lines, sizes and price ranges! 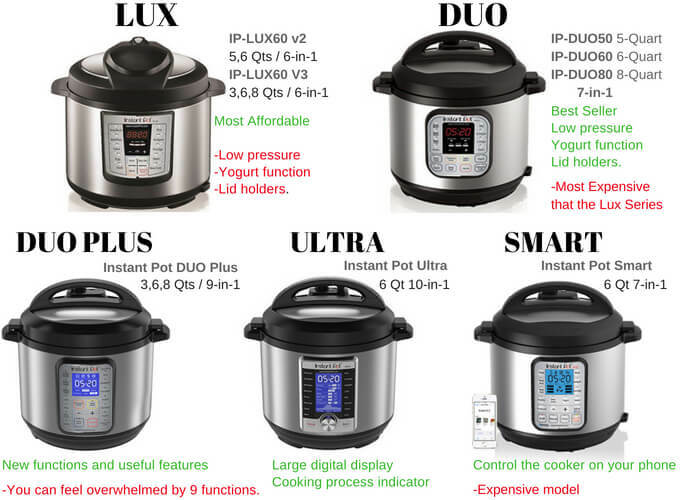 We give you the Instant pot model comparison table so you can understand the difference between each model and then we group them by Series and highlight the functions and the best and worst features of each model. 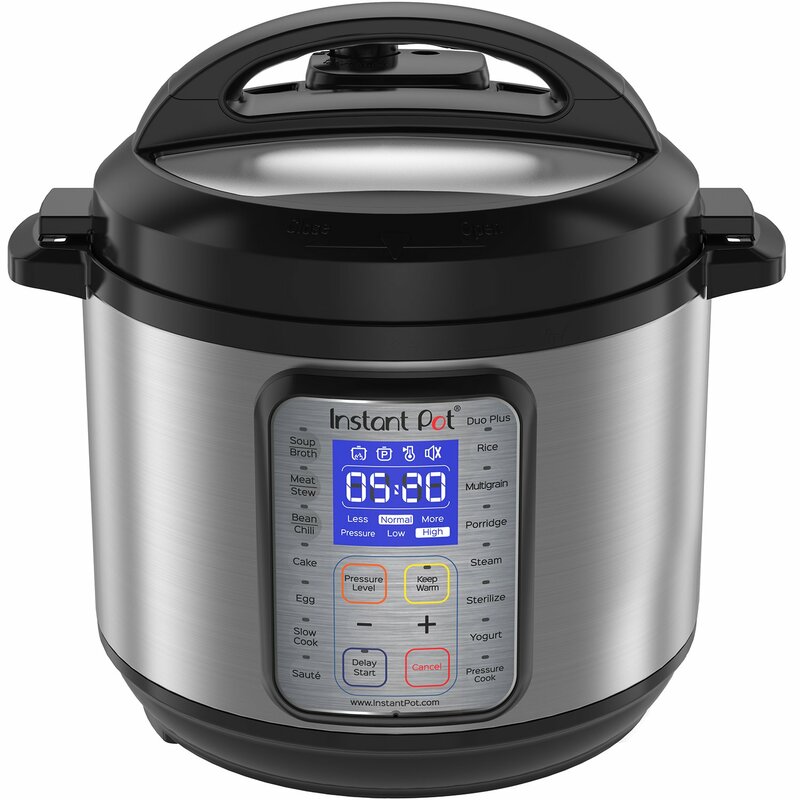 The IP-Lux series is the second version of the Instant Pot family and is today the most affordable of the bunch although is the most limited when it comes to functions. The IP-Duo series is the third version from the company and comes with cool features such as the ability to cook at low pressure, the yogurt cooking function, and great handles that also can be used as lid holders. 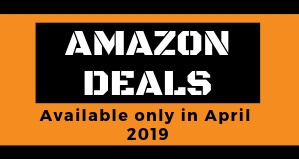 The new series appear with the new version of the beloved IP-Duo that was a best seller for a long time, but now featuring new improvements plus 9 appliances in 1 named IP-Duo Plus. And a few months after that release the IP-Ultra series made his appearance with the 10 in 1 model that not only got the same features as all the model combines but also add the new Ultra Feature. 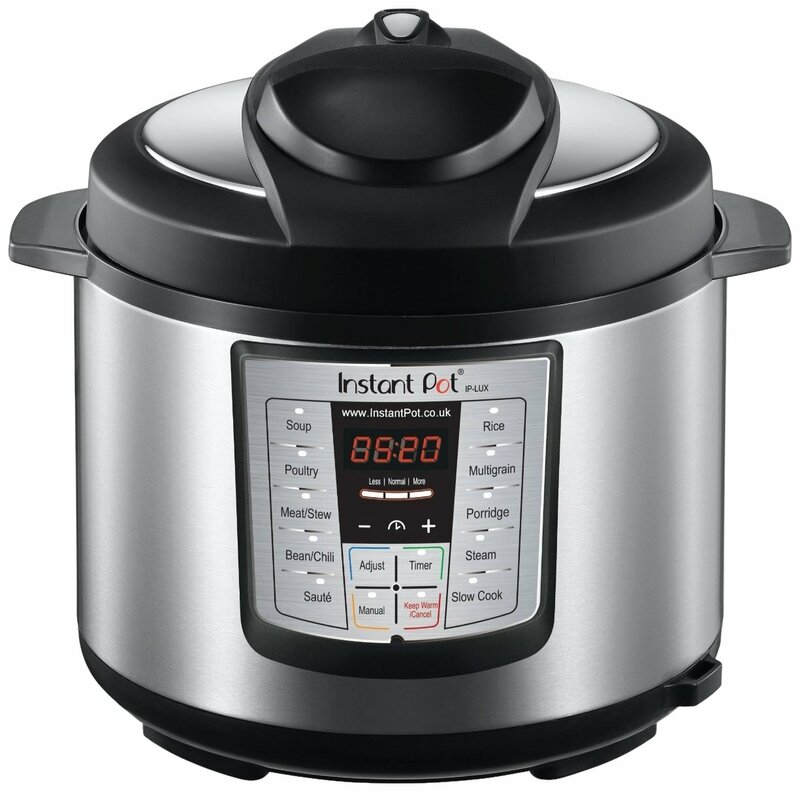 Then last but not least comes The IP-Smart series that is basically the IP-DUO60 model with a Bluetooth-enabled cooking computer added in. The IP-LUX60 v2 comes with 6 appliances combine and if well today is discontinued you can get it on Amazon. Although you need to have in mind that this model cannot operate at low pressure, it doesn’t have advanced features such as the yogurt function and doesn’t include lid rest handles. The IP-LUX60 V3 comes in 3 sizes to choose from 3, 6 and 8 Quarts and in terms of features and functions is the same as the V2 model but the difference is that this model is not on the discontinued list so the price is one of the most affordable one at $79. Cons: Cant cook on low pressure, it doesn’t have the yogurt function, and doesn’t include lid holders. 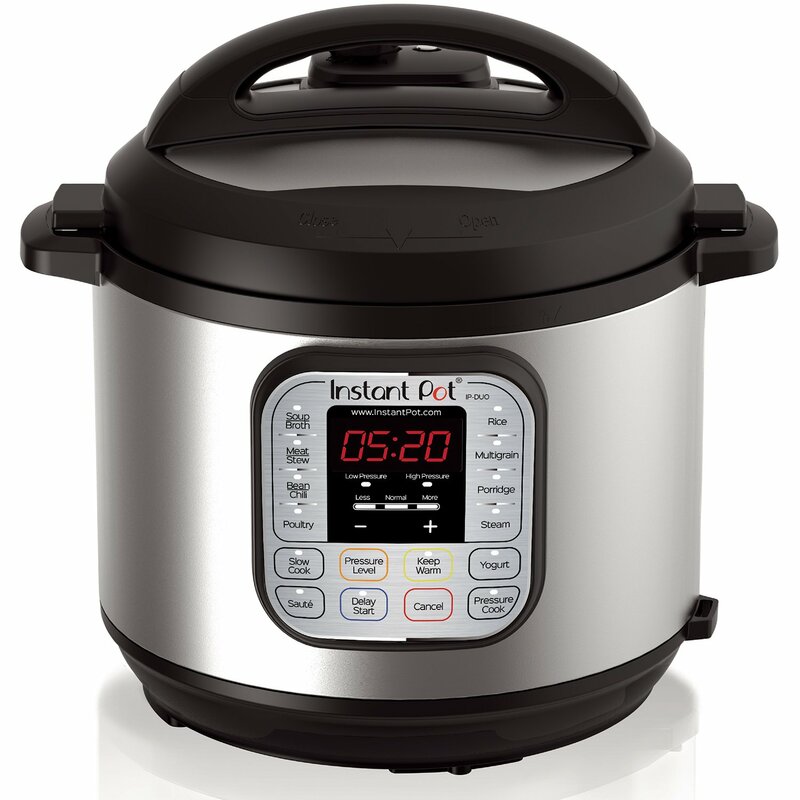 Ideal for: Someone that is getting on the Instant pot mania and want an appliance that can perform both slow and pressure cooker, yet only plans to use it a couple times per week. Although, a great point is that the IP-LUX60 V3 cost today less than 25% when compared with the comparable IP-DUO60. This model is a good addition for people that don’t care about cooking yogurt or rice and can live without the awesome lid holding handles. Pros: Lots of improvements and useful features, like the ability to cook at low pressure and the yogurt function. It also features the lid and handles. Available in the 8-Quart version as well. The ability to cook rice is a great improvement also, you can have a few cups of rice ready in 15 hands-free minutes. Substitutes for 9 other appliances. Comes with all the same features and cool additions from the Duo series plus the egg program, Cake Program, and Sterilize Program that has the ability to pasteurize milk, as well sterilize baby bottles, utensils, and jars. Cons: You could feel overwhelmed with all the 9 functions. The meals can get stuck into the inner pot despite contrary claims. And in case you don’t secure the lid properly you can get some leak steam. 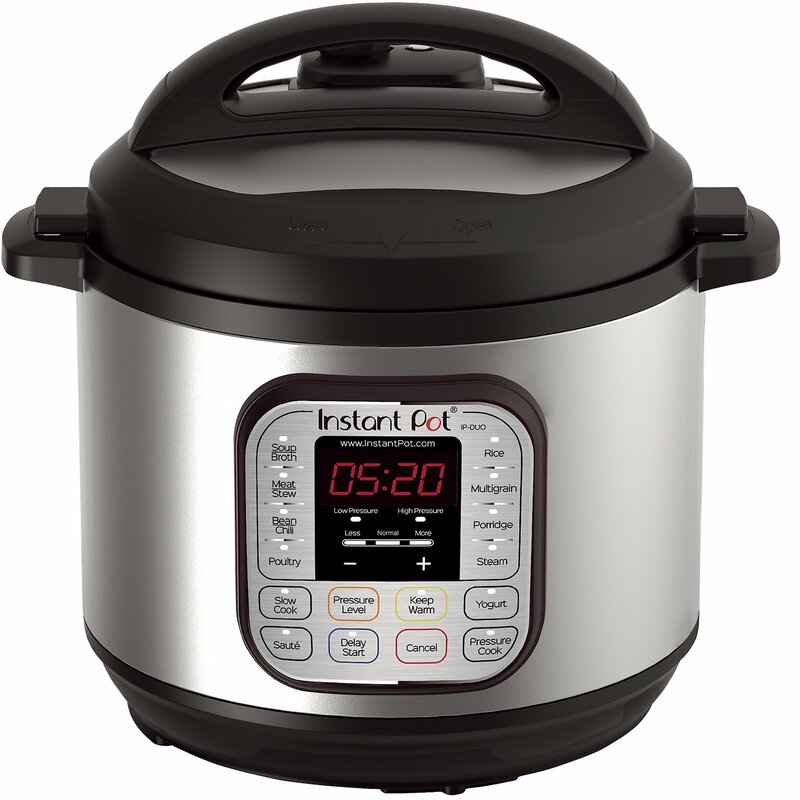 Ideal for: People that already have an Instant Pot and want to take the experience to the next level. The word is Ultra! 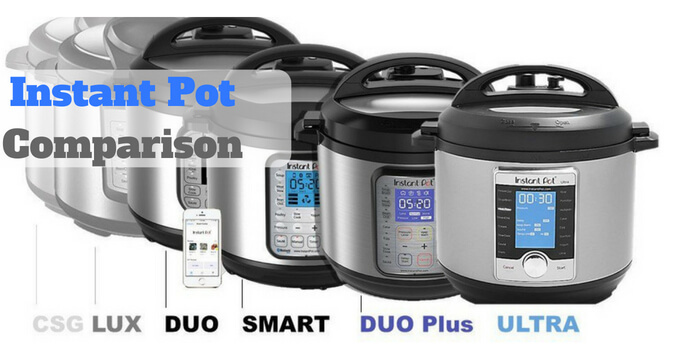 the newest feature that came to revolutionize the pressure cooker world that comes with the ability to pre-program the cooker with different cooking times and different temperatures as well gives you 2 pressures to choose from. Using a granular control that will not give you 10 in 1 appliances but once you start to use it you are going to realized that is more like hundreds of appliances in just one. 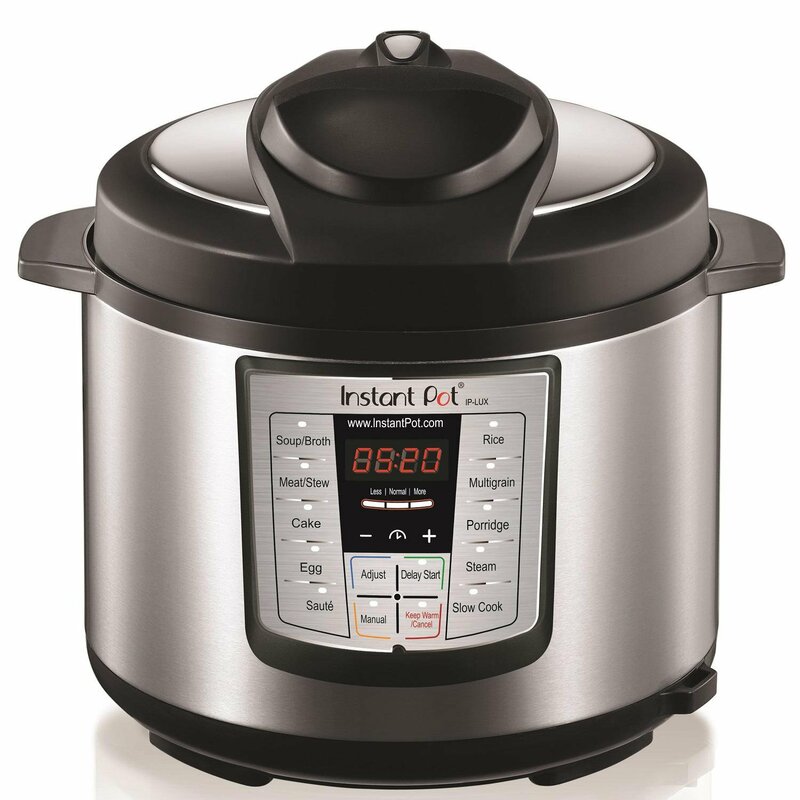 Pros: Ultra function that combines 10 appliances in 1 making it a wide range of choices to get the most from your pressure cooker. All the same features that come along with the earlier models plus a large digital display that makes it really easy to use. It also features a cooking process indicator that will show you how much your food has been processed, this will allow you to keep an eye on the cooking progress. 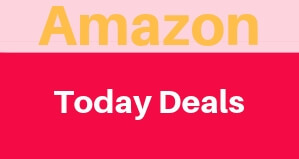 Ideal for: People that want to get the most high-end model from the bunch and the feel comfortable using electric pressure cookers already. The Smart series only comes in a 6-quart size and is one of the most expensive models from the company. The Smart feature here is most than anything the ability from the cooker to connect via Bluetooth. 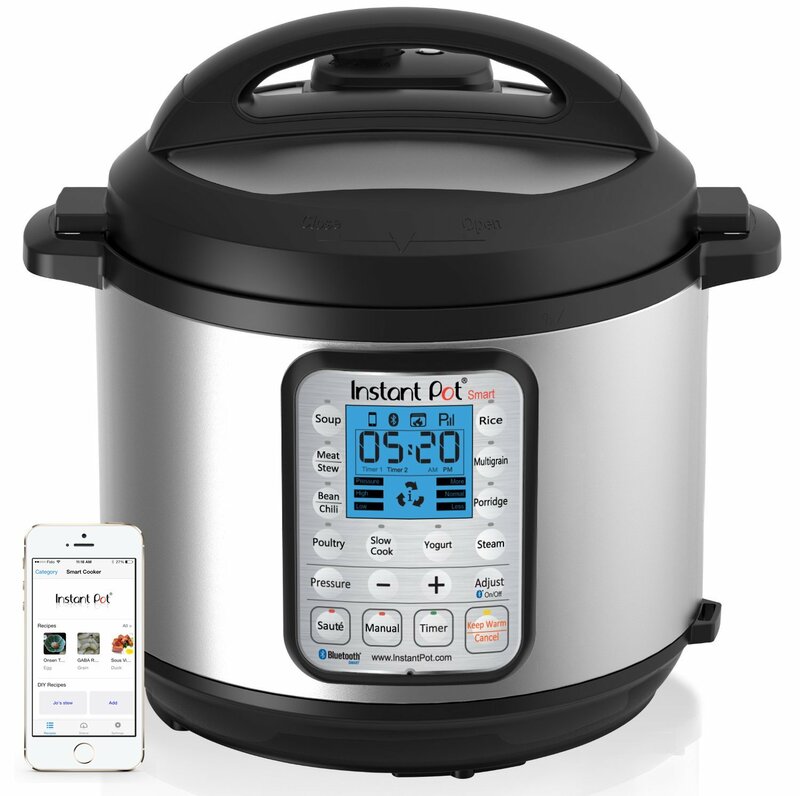 You can control your pressure cooker from your phone. You have the same features as the Duo Series. Ideal for: Smart houses and tech people that love to manage everything from their phones. If you like the technology of sous vide cookers, cooking at a precise temperature, this model can do that for you. If you like to saves and organize your recipes, you will love this model as you can save your cooking programs.